What impact would Scottish independence have on a Brexit referendum? As we roll into the final week of the Scottish independence referendum campaign, things look to be closer than many (including myself) had anticipated: even if a No vote looks more likely than not, the success of the Yes campaign in mobilising and motivating voters mean that this will be a deeply consequential vote whatever the result. Tempting as it is to discuss the belated decision by Westminster politicians to get more actively involved in matters, instead I turn to a longer-term issue, namely the impact of this vote on any future national referendum on UK membership of the EU. Before discussing how the result of such a Brexit referendum might be affected, it is worth considering how it might affect the more general planning of such an event. The Scottish vote has been held in conditions not fully of the Scottish government’s choosing: their desire to include a third, ‘devo-max’-style option on the ballot was prevented, just as the timing was probably sooner than they would have preferred, given the economic situation. 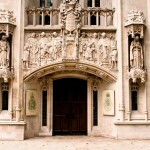 Despite this, there has been a strong and consistent effort to own the process, not least by having a two year-long run-in: this meant plenty of time to organise and shape messages and debate, in a way that worked against the more usual quick tempo of British election campaigning (pace the introduction of fixed-term parliaments). Any Brexit referendum would be held under different conditions. It would be happening solely on the basis of the preferences of a British government, with the EU unable to challenge the wording of the question, on a timing of British choosing. Of course, the Tories have already specified that they would move to hold a vote in the first half of a new parliament (i.e. by the end of 2017), which gives the EU the potential to push things close to the wire in a renegotiation, although what could be gained from this is very hard to see. The other key difference is that Scotland has backloaded any renegotiation with the UK: only once the vote is held will talks be held – either to manage independence, or to move towards more devolution. A Brexit campaign spins this around, with the government taking their renegotiations to the people for approval (as in 1975). This is a double-edged sword. On the one hand, it means voters will know what they are voting for (in stark contrast to the Scottish case). On the other, that means there is less space for constructive ambiguity on either side of the campaign. In more optimistic moments, we might argue that the Brexit situation will lead to more informed and rational debate, but in practice this remains more of an aspiration than anything. Scottish independence = British independence? 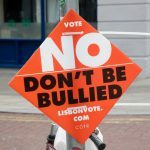 How might a Yes vote next week help an Out vote in 2017? The first place to start is in attitudes. 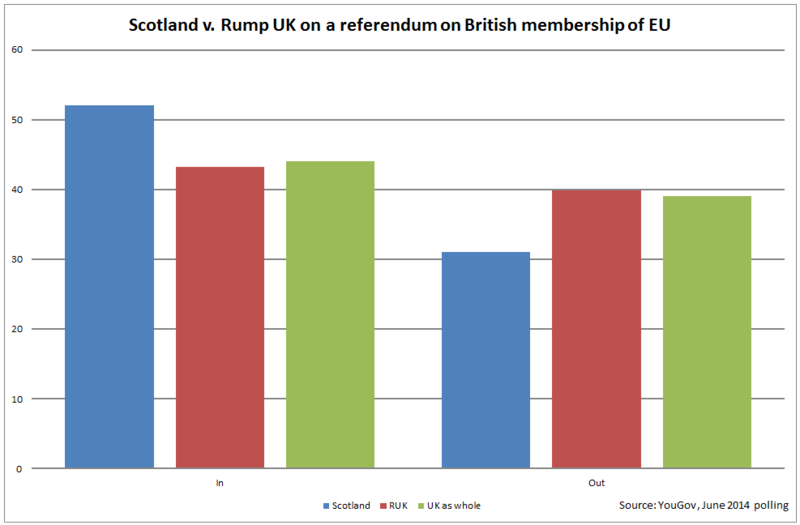 Scots are more pro-EU than their southern compatriots, although as the chart below shows, the impact of that is relatively small, given Scotland’s size: the removal of Scottish voters would add about 1% on the Out vote, and take away the same from the Ins. However, the departure of Scotland would obviously be a very major political event, so potentially it would lead to a big change in voter attitudes that could easily swamp the initial effects. Firstly, by demonstrating the willingness to go it alone, Scotland might open up the path for a Brexit, by giving voters the reassurance that things could be worked out. This taps into the sense in both votes that the worst that happens is a period of uncertainty and then a move towards a new settlement – no one is going to end up at war about this. Of course, this might give a British government an incentive to dawdle on Scottish independence talks. Secondly, a Yes vote might produce a Westminister government that is much more willing to fight on issues of national identity and sovereignty, making it less willing to find a consensus position with the EU, and so less willing to fight for membership. To see David Cameron tell an audience yesterday that ‘he loves his country more than his party‘ should point to how likely that effect will be. Finally, and in extension of the previous point, Scottish independence might prove to be a fillip to the fortunes of UKIP, as English (specifically) voters seek some kind of refuge from the challenge to their identity. UKIP is the party that has made most of this in their campaigning, as their agenda of speaking for the disaffected and disoriented would fit well. Independence for Scotland might also produce some different effects, making an Out vote less likely. Mats Persson yesterday suggested that the hard work of negotiating Scotland’s departure from the UK would impose such a strain that no one would want to add Brexit negotiations on top of that. Fan that I am of such prosaic factors, Scotland has proved that there is never a good time to hold constitutional talks, so you do it when you have to, largely regardless of what else is happening. Indeed, you could just as easily argue that while we’re there, we might as well do the whole lot. Much more probable is that Scotland leaving the UK would provoke feelings of insecurity in the latter, which could be turned into a feeling that it would be bad to cut all our existing ties. The need for a close relationship with Scotland would remind people of the value of international cooperation, especially if Scotland remains in the EU (as would seem likely): couple that to a British government that would presumably be supporting any renegotiated membership deal (since it negotiated it), and a In vote looks more likely. Similarly, it might be that the pressure for devolution that will follow – however Scotland votes – from other parts of the UK will have a comparable effect on attitudes. Most obviously, this means Wales and Northern Ireland, but English regions are also likely to push for more powers, if only to match London’s situation. That points towards a more federal arrangement for the UK, which might then remove that linguistic toxicity from the European debate and highlight the way in what political power can usefully and meaningfully be shared across different levels of operation. Pulling this together, it is hard to see a clear pattern of consequences between Scotland and Brexit. Much will depend on very contingent factors, especially the choices made by political leaders and the media. Don’t rely on the status quo – particularly in a time when politicians aren’t trusted, to appeal to ‘steady as she goes’ rings rather hollow. Who learns these lessons remains to be seen: roll on, next week! This entry was posted in Current Affairs, Democracy & Citizenship, Politics & Public Policy and tagged Brexit, referendum, Scotland, UK. Bookmark the permalink.